Posted On March 14, 2017 by Team iCynosure. No one can stop you from doing what you want to but yourself. I am unstoppable, as a mother, a wife, a daughter, a friend, a professional I try to squeeze in 48 hours in my day, every day. And I’m sure most of the women out there do the same. Though every day isn’t the same, some are easy-peasy while some a truly terrible. However, I always put the difficulties aside, equip myself with tools that will ease out the issues at hand and march ahead to achieve my dreams; even on #Those5Days. And what better than making yourself comfortable with the best available personal care product option Whisper, than sulking during that time. 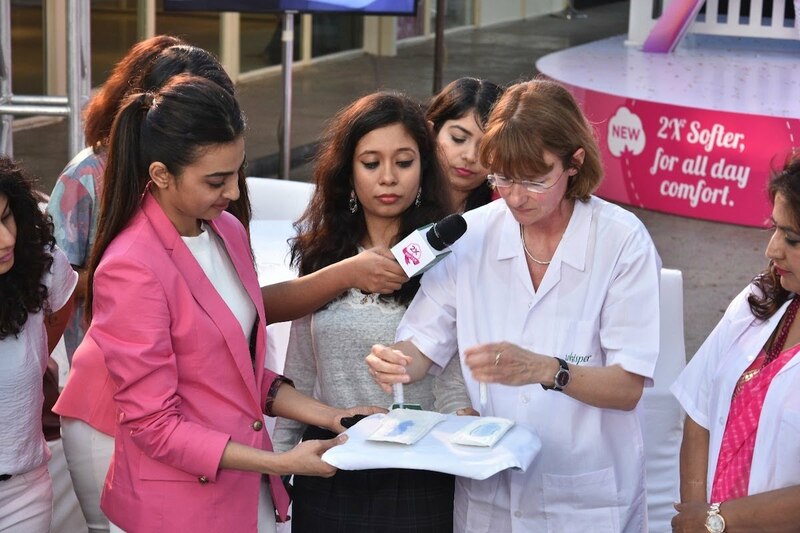 This International Women’s Day, Whisper invited top Women Bloggers from Mumbai for a tête-à-tête with Actor Radhika Apte, Gynaecologist Dr. Nandita Palshetkar and Senior Scientist Edith Tilly to discuss periods, hygiene and the new product #WhisperIndia’s #UltraSoft. After some very successful campaigns over the last few years including ‘Touch The Pickle’ that busted the period taboo and initiated a cultural change and ‘OwnThose5Days’ that pushed girls to be proud of their periods, Whisper is back to creating a new mindset for the masses. Doing the Blogger Meet, Radhika, Dr. Nandita and Edith discussed period woes, importance of taking care of oneself and then the absorption and softness experiment. 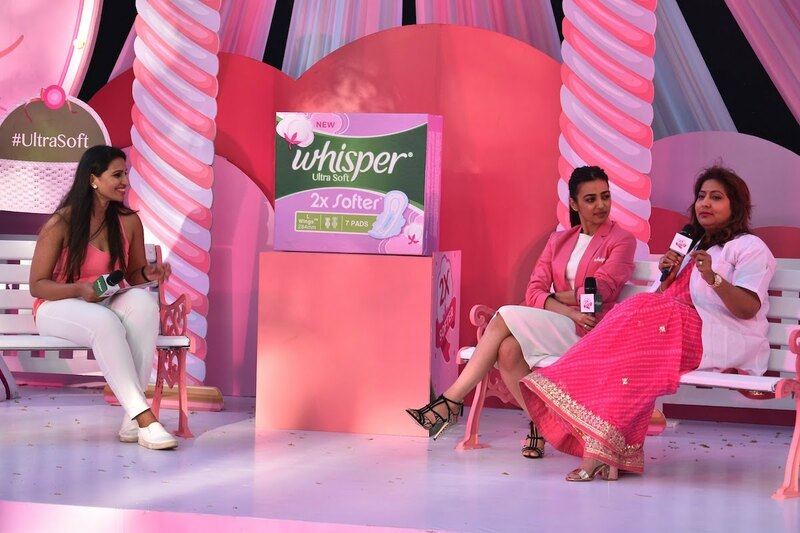 The New Whisper Ultra Soft napkins aim to provide great comfort to menstruating girls/women and do away with the myth that rest should be taken during those five days of the month as their potential is restricted due to their condition. 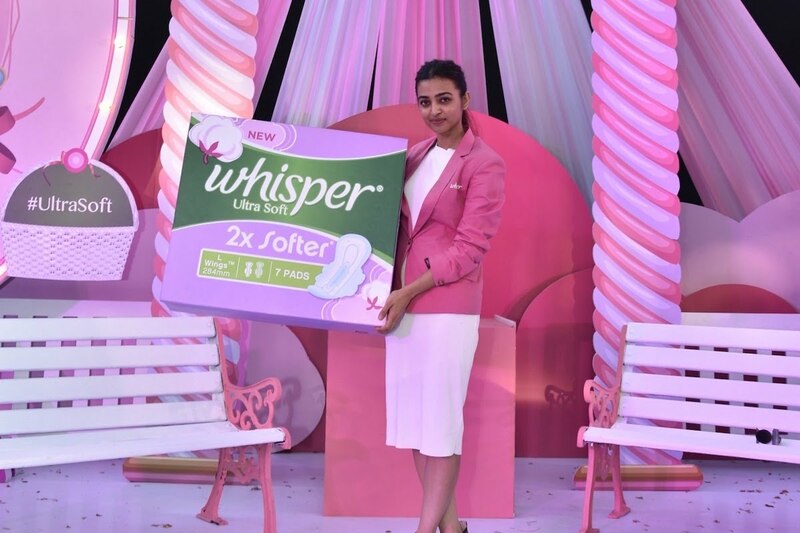 When I first received the new improved Whisper Ultra Clean sanitary napkins I noticed the unique design that promised superior protection with almost 100% locking of wetness and odour. The top layer is covered with an extra gentle softer top sheet and smaller pores with wider wings and back. I took the #ComfyChallenge and in my personal experience, the Whisper Ultra Soft sanitary pads are extra gentle on my skin, making the 2x softer claim true. The soft top sheet in the centre and wings along with the infinite pores locked the wetness and odour, giving me extra coverage and long-lasting protection throughout the day. The Whisper Ultra Soft sanitary pads have a soothing effect on my skin allowing me the comfort to be myself and giving me the everyday confidence I deserve. So do not let anyone or anything stop you, or plant any doubts in your mind. Go chase your dream whatever day it is.